The big surprise obviously was getting selected for Kumite and Kata in the first place. We didn’t start competing in Kata until the 44th JKF-Wadokai Nationals in 2008. So, if you’re any good at maths, you’ll realise that come the World Cup, we’ll have been competing in Kata for only two year’s. Kumite, I’m ok with, I’ve always been comfortable fighting, but Kata…. that’s entirely a different story. 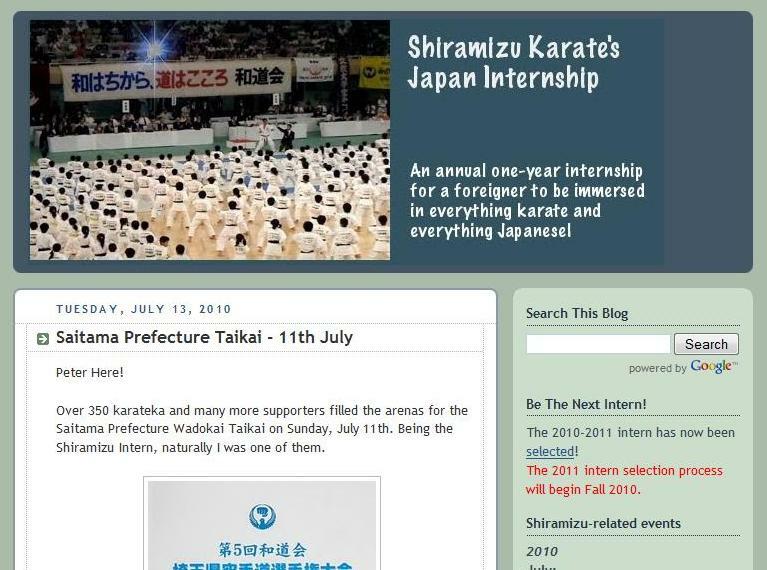 Anyway, because we head back to Japan in 4 weeks, I’ve found myself following the Shiramizu Japan Karate Intern Blog. The new Intern, Pete is English and he took over from Louise & Erica (who took over from Amy and me). I particularly like his personal blog which always gives a truer picture of what it’s really like over there because the main intern blog is censored to be politically correct. 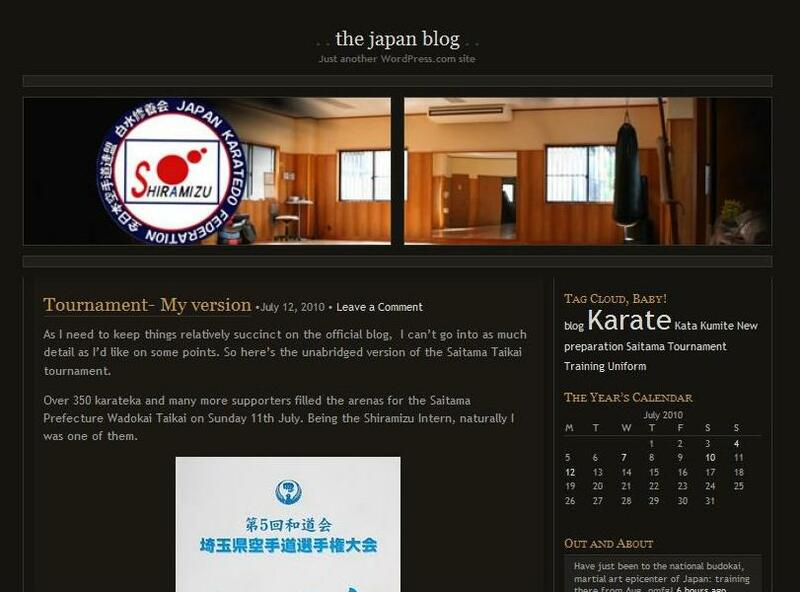 I would definately recommend checking out both blog’s from time to time as they give a great insight into what it’s like to commit to a full year training intensively in Karate IN JAPAN. This is exactly what Amy and I did from July 1st 2008 – July 1st 2009. Anyway, I’ve got to get back to training…. there’s a lot of work to be done before August! This entry was posted on July 13, 2010 by hartlepoolwadokai. It was filed under Uncategorized and was tagged with Carl & Amy, JKF-Wadokai Nationals, Karate, Shiramizu, Wado World Cup.